A sweet ivory lace and satin clutch handbag with satin lining and chain shoulder strap. 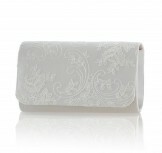 Beautiful for the bride in ivory but also outstanding when dyed to any colour! 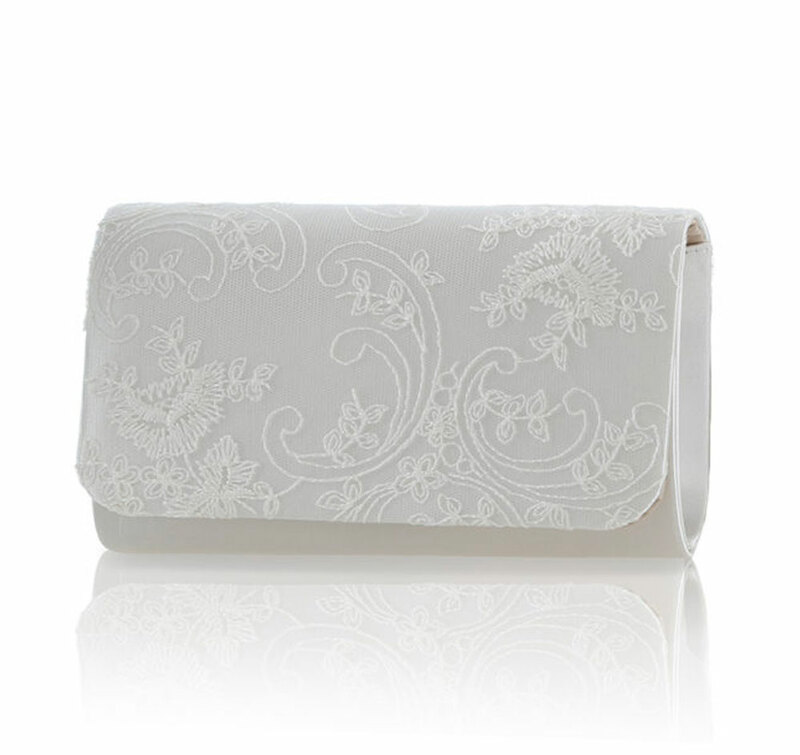 Click the button below to add the Perfect Ivory Dyeable Lace Handbag Laurel to your wish list.